View Poland Visa Application Centre, Kharkiv, UKraine phone number, email, address, working hours, website. View Poland Visa Application Centre, Dnipro, UKraine phone number, email, address, working hours, website. View Poland Visa Application Centre, Zaporizhya, UKraine phone number, email, address, working hours, website. View Poland Visa Application Centre, Gaziantep, Turkey phone number, email, address, working hours, website. View Poland Visa Application Centre, Kherson, UKraine phone number, email, address, working hours, website. View Poland Visa Application Centre, Antalya, Turkey phone number, email, address, working hours, website. View Poland Visa Application Centre, Trabzon, Turkey phone number, email, address, working hours, website. View Poland Visa Application Centre, Kyiv, UKraine phone number, email, address, working hours, website. 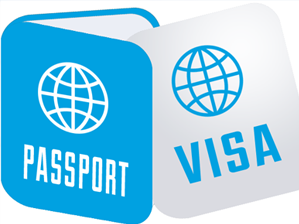 View Poland Visa Application Centre, Kropyvnytskyi, UKraine phone number, email, address, working hours, website. View Poland Visa Application Centre, Lviv, UKraine phone number, email, address, working hours, website.